No more, no one will feel fatigue in training - with HellNOX understand what a real workout. Uncompromising mix before training provide the best workouts of your life. Do not existed to date product with such a strong effect as Extrifit HellNOX - try it for yourself, and will not be disappointed! Manufacturer set the action, not the beautiful descriptions without coverage. 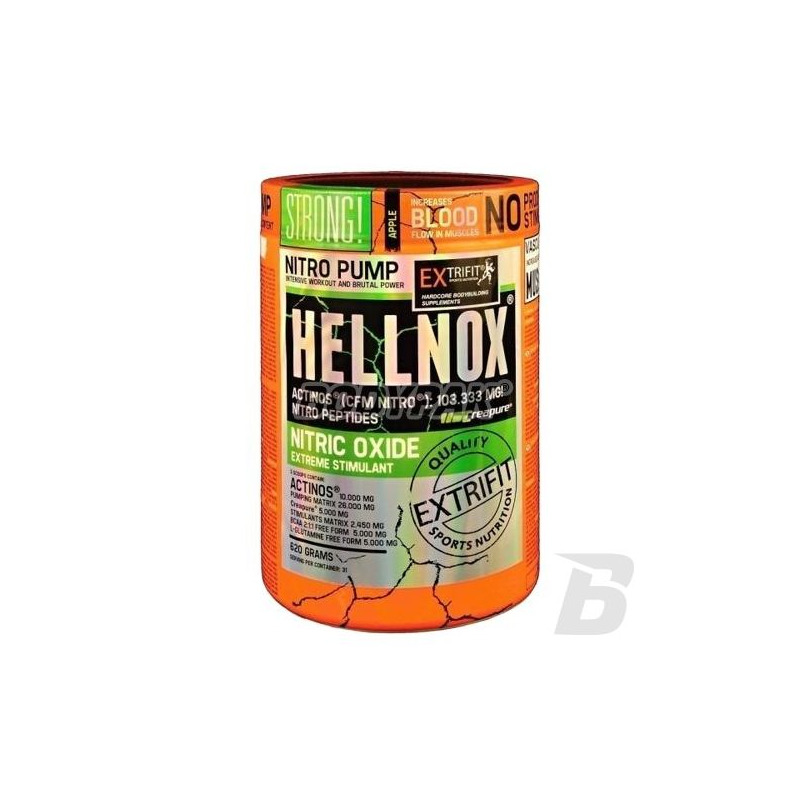 With HellNOX feel what real pump after-training and you'll never need any other supplements of this type. FEEL THE TRUE POWER - this is the most advanced nitric oxide which is available on the market. The pump will be so strong that you will have the impression of tearing the muscle. If you bet on heavy workouts you will not be disappointed - HellNOX was created in order to assist everyone in the worst moments. 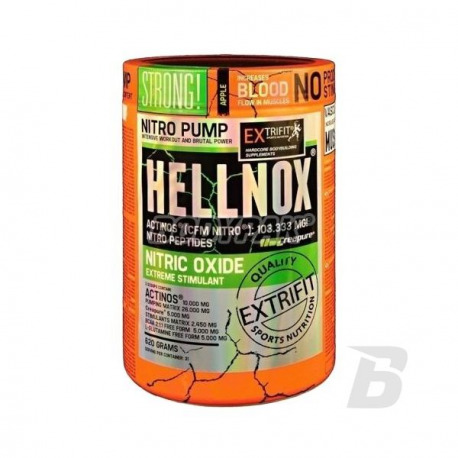 You will not find a stronger blend than HellNOX. Let them open the gates of hell in front of you - feel yourself in this heat!